finished 8” x 8” mosaic framed mirror. 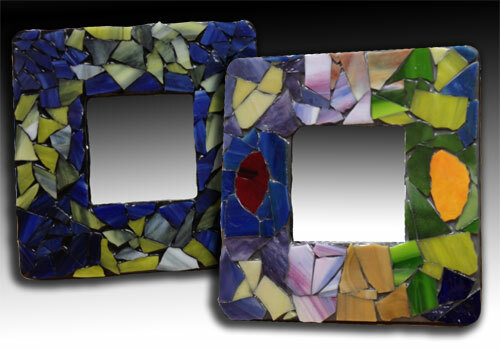 The No Days University at the Las Vegas Glass Craft & Bead Expo is back for 2014. Leigh Adams will be teaching mosaic techniques using Strueter’s Groutless Mosaic Adhesive in one corner of the No Days Booth (#901) on the expo floor. Come by the booth to get ideas and inspiration, or better yet, sign up for one of the two sessions and make your own mosaic creation to take home with you!